#2 GTPI Denver in Europe! Full sister to ALASKA-RED @ AI-Total! OH DG Hobbit Of Hula-ET GP-NL 2yr. The former #1 GTPI & #3 PTAT Chops dtr in Europe! The former #2 PTAT Chops in Europe! Zandenburg Super Camilla by VG-85-DE 2yr. Buiner Mc Taya VG-85-NL 2yr. Sister to, TATUM, TUFFY & TANGO! Snowbiz Lilyan GP-NL VG-86-MS 2yr. 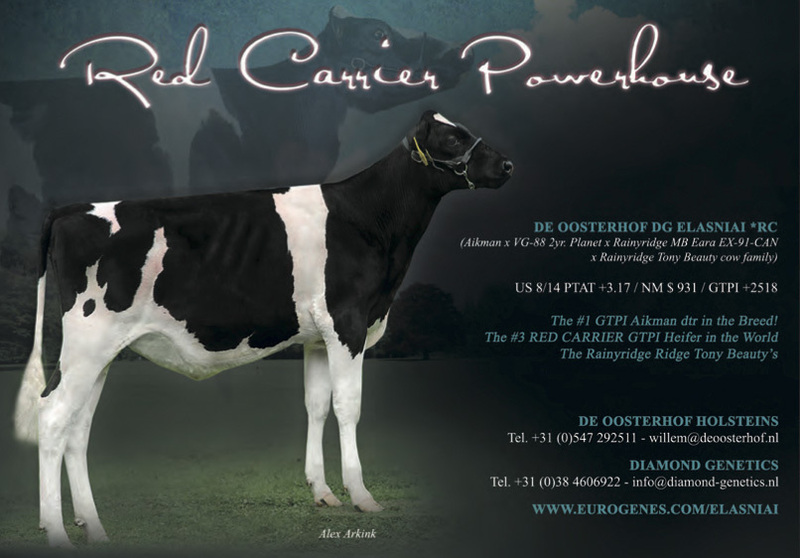 Huge numbers and awesome pedigree! Neerduist DG Cilly-ET VG-87-NL 2yr. 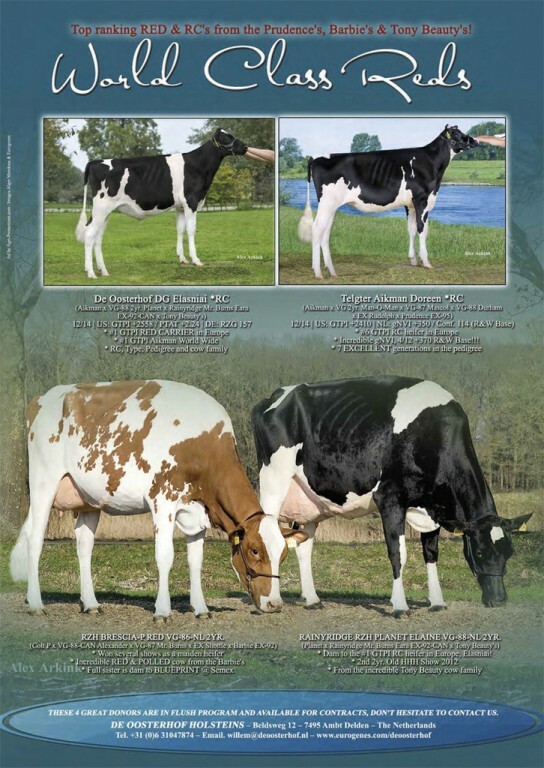 De Oosterhof Mon Tahaya VG-85-NL VG-86-MS 2yr. DG OH Donna VG-85-NL 2yr.